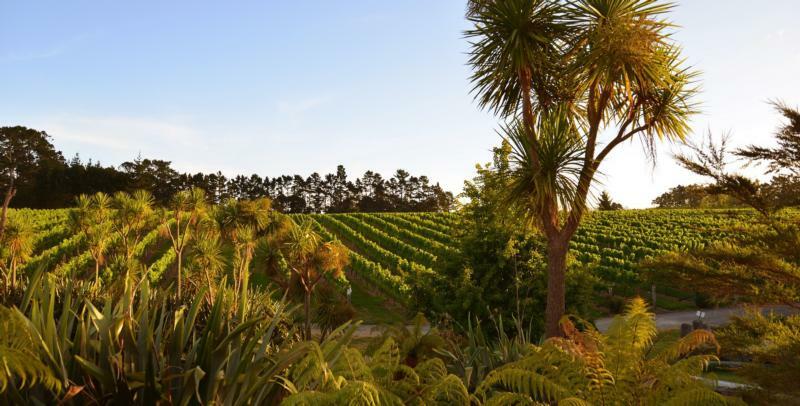 Founded in 1980 by Andrew and Cynthia Hendry when the New Zealand wine industry was small and relatively unknown, Coopers Creek Vineyard has grown and matured over three decades into a top class winery with a strong international presence. It continues to innovate, particularly with new wine styles, introducing and pioneering promising new grape varieties that are ideal for cool climate regions. Viognier, Albariño, Arneis, Grüner Veltliner, Marsanne and Montepulciano are new varieties for New Zealand, but heading for stardom. Coopers Creek is satisfying a growing demand for these stylish varieties in addition to its longstanding pedigree with Chardonnay, Syrah and Bordeaux reds. Very light in color, Cooper's Creek Sauvignon Blanc is intensly aromatic, with herbaceous hints accenting passion fruit, nectarine, and citrus-like notes. Punchy fruit flavors and juicy acidity are in abundance on the palate, and the finish is long and lingering. Very light in color, Cooper’s Creek 2015 Sauvignon Blanc is intensly aromatic, with herbaceous hints accenting passionfruit, nectarine, and citrus-like notes. Punchy fruit flavors and juicy acidity are in abundance on the palate, and the finish is long and lingering.